With January comes those cold winter weather months and that means snow, sleet, and ice. It also means that senior citizens are at a greater risk of falling on all that wintry mix. With a new year comes a chance for both the elderly and their families to become more educated on fall prevention. With age the risk of falling increases. The risk of falling is greater for women than men. When bone density decreases it contributes to falls and resultant injuries. Failure to exercise regularly results in poor muscle tone, decreased strength, loss of bone mass, and flexibility. At least one-third of fall with the elderly involves environmental hazards in the home. 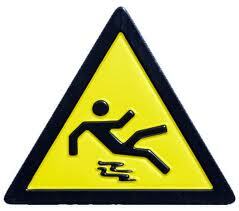 Risk factor is the term used for the causes of all falls. There is no single risk factor that contributes to all falls, but with the increased number of risk factors, comes the increased chance of a fall. This fall could be a threat to a person’s independence if they should temporarily or permanently injure themselves. Many of these risk factors are preventable and being knowledgeable about the top risk factors, can protect the elderly from hurting themselves with a slip or a fall. Here are a few of the risk factors that can lead to falls. The risk factor osteoporosis is when someone is inflicted with a condition where bones are less resistant to stress and more prone to fractures. It can be caused by hormonal changes, calcium or vitamin D deficiency, or a decrease in physical activity. Eat or drink the sufficient amount of calcium. Postmenopausal women need 1,500 mg of calcium daily. Some of the most calcium-rich foods/drinks are milk, yogurt, cheese, fish, or certain vegetables like broccoli or soybeans. Get the sufficient amount of vitamin D to enhance absorption of calcium in the bloodstream. Regularly doing weight-bearing exercises decreases the chance of getting osteoporosis. Just as doing weight-bearing exercises prevents osteoporosis, failure to exercise regularly can result in poor muscle tone, decreased strength, and loss of bone mass or flexibility. This all contributes to falls and the severity of injury because of falls. Engage regularly in exercise. Doing about 30 minutes a couple times a week (such as three times) can increase bone and muscle strength. When engaging in your daily activities do it in a safe manner. Bend properly when reaching for items such as laundry or dishes. Have safety rails in bathrooms such as in the shower. If you do fall, take the proper amount of time to recover fully from your fall. There are many other risks factors that contribute to falls. Educate yourself or any family members that are elderly, especially if they are living on their own. When you are knowledge about the top risk factors for falls and take steps to prevent these falls, everyone can have a safer and therefore happier bleak winter months! Here are a few educational websites about fall prevention and facts for further information. **This blog post was written with aid of the “Preventing Falls in the Elderly” written by K.R. Tremblay Jr and C.E Barber.